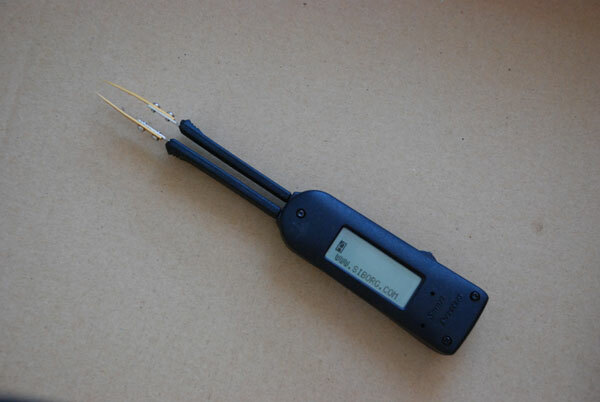 Smart Tweezers LCR-meters from Siborg Systems Inc. 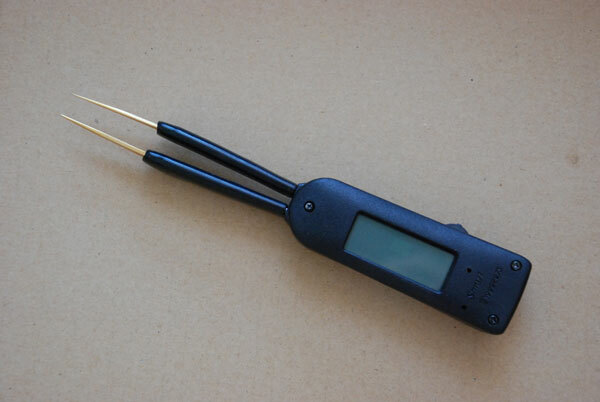 It is obvious that in the course of the design evolution the components also evolved quickly so that in about 2003 Smart Tweezers finaly were looking somewhat close to what it is today. 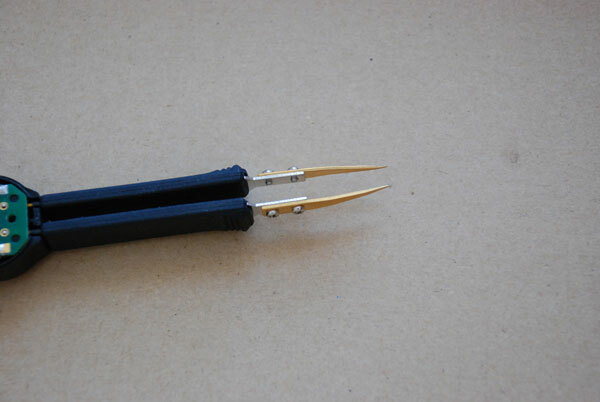 The latest pre-production units have been nanufactured using 3D printing. 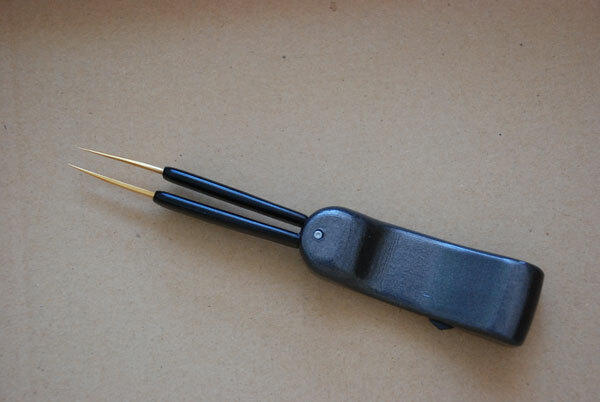 ST-1 is the first commercially released model of Smart Tweezers in 2004. 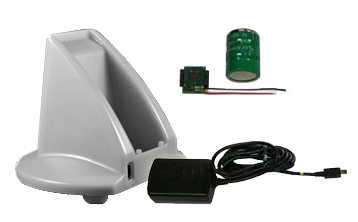 This model had rubber insulated handles, an LCD display and moulded plastic body. 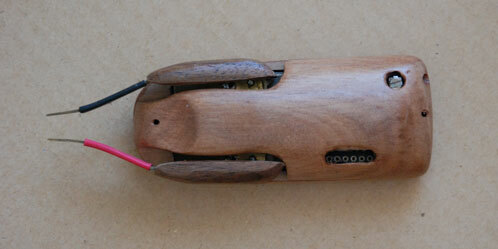 In model ST-2 significant improvements had been achieved in both accuracy and mechanical design. 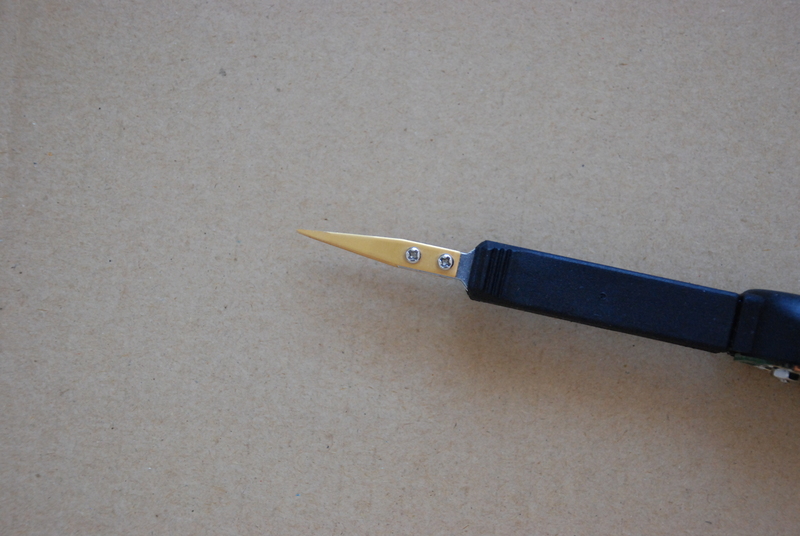 Replaceable tweezer tips had been introduced as well as a better insulation of the handles released in 2007. 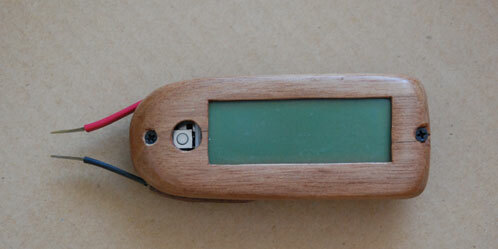 Initially it was a ROHS complient device but due to LCD soldering problems we eventually changed the display. 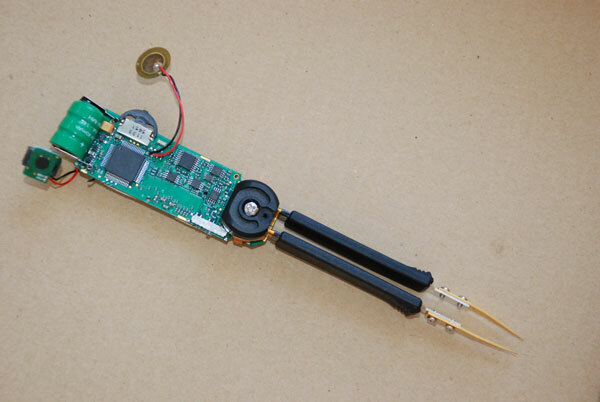 In 2009 an Inductive Charging Kit, the STIC, (Smart Tweezers with Inductive Charger) was introduced in order to address a problem of housing damage due to multiple replacement of batteries. 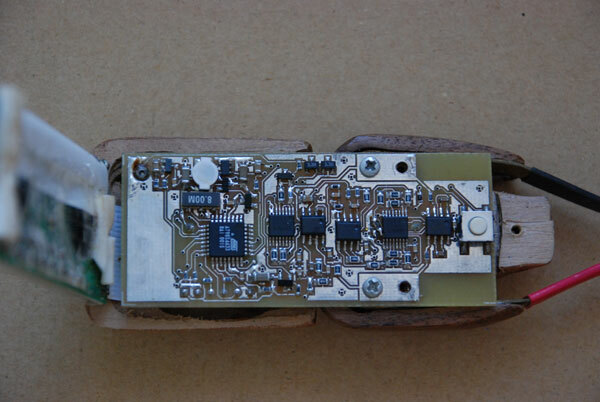 When the button batteries were discharged, the device needed to be opened; this caused the plastic to wear and not close as tightly; the screws could also be damaged. This model was more expensive but was widely accepted on assembly lines. 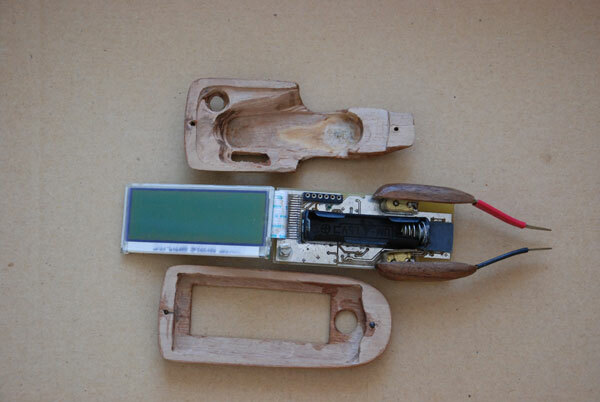 Instead of replaceable batteries, users could replace them with a NiMH cell with inductive charger. When the device was placed on the cradle, a light would show that the device was charging. This upgrade was simple to do and extended the life of the ST-2 and ST-3 devices. 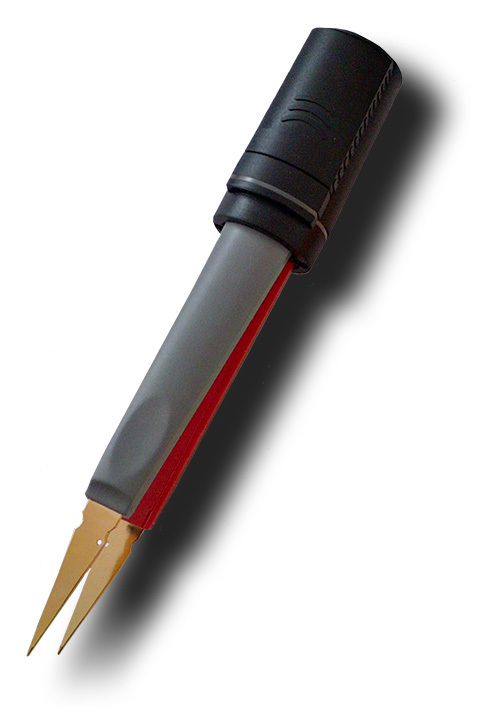 In 2011 the latest model ST-5 had been released featuring even better basic accuracy of 0.2% for R and 0.5% for LC. 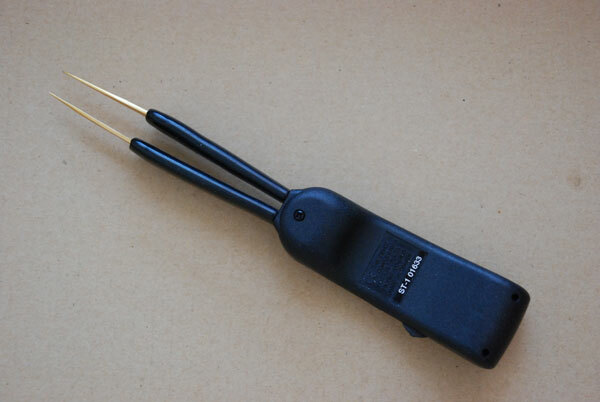 The higher accuracy was available due to a change from a 2-wire Kelvin connection from the tweezers to a 4-wire connection. 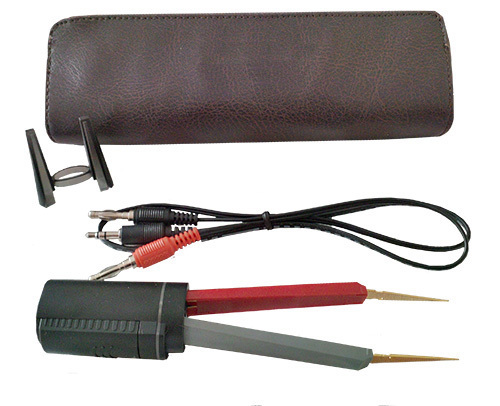 The ST-5 was Li-Ion rechargeable batteries and micro-USB charging. 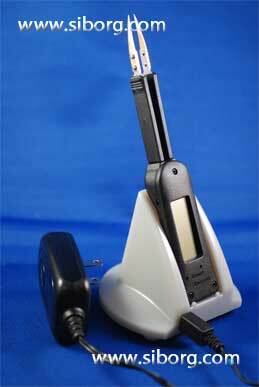 This model offered users replaceable, Swiss-made precision tips, and a 4-way joystick-like navigation. Features included offset subtraction and component sorting. 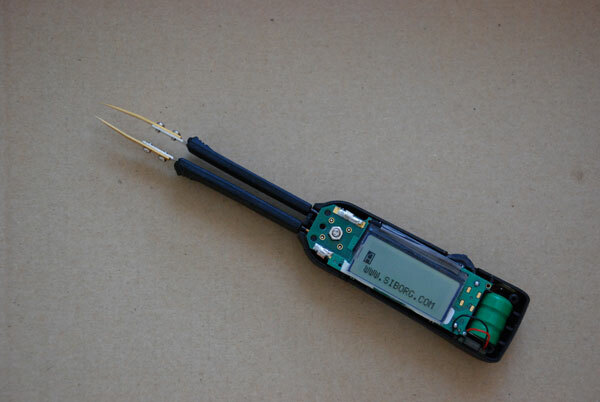 This model came with a hard-shelled carrying case, charging cable, and was calibrated to NIST standards with traceable calibration certificate. 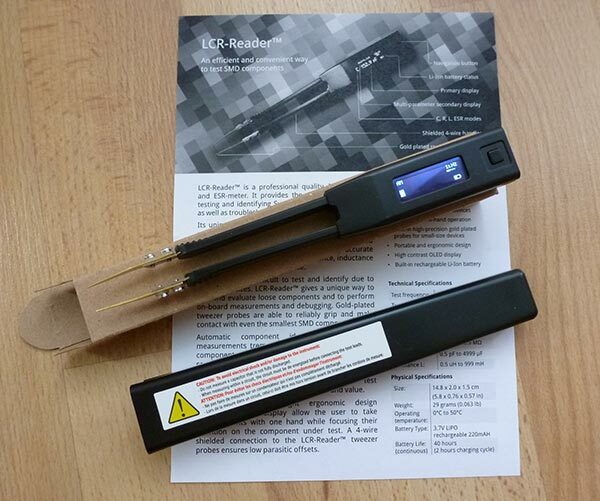 In 2013, Siborg released the first look at the LCR-Reader. 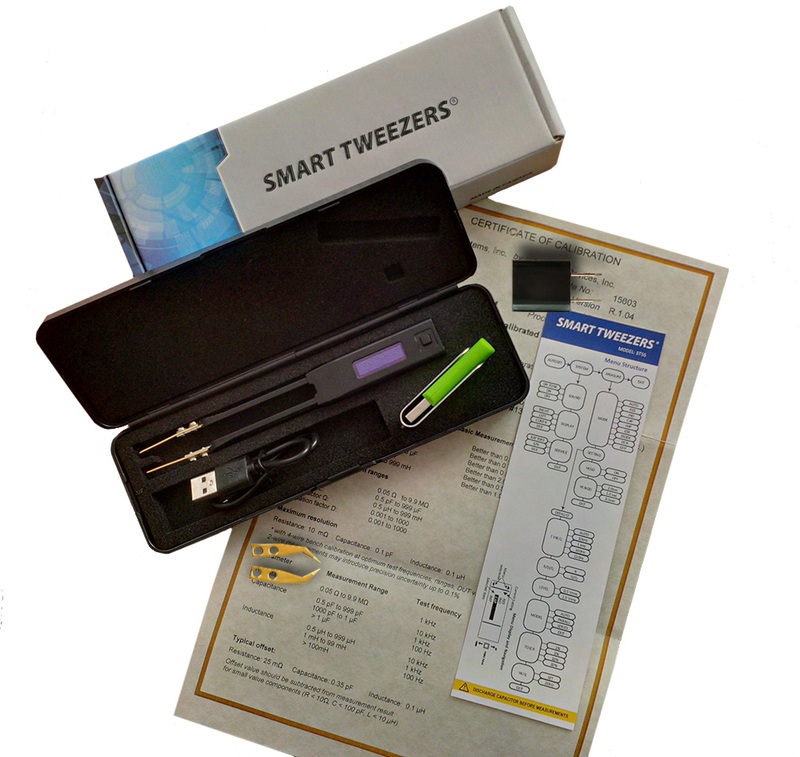 This device was created as a lower-cost alternative to Smart Tweezers models, mostly aimed at customers who wanted a device like Smart Tweezers but without the higher price while not sacrificing the easy-of-use or basic accuracy. This model was also first to debut a new look; a slimmer build than the ST-5, and only 1 oz., nearly half the weight. It also has a bright OLED display compared to the older LCD display. This design was eventually adopted for the ST-5S model. Here is the Manual and the Quickstart Guides. 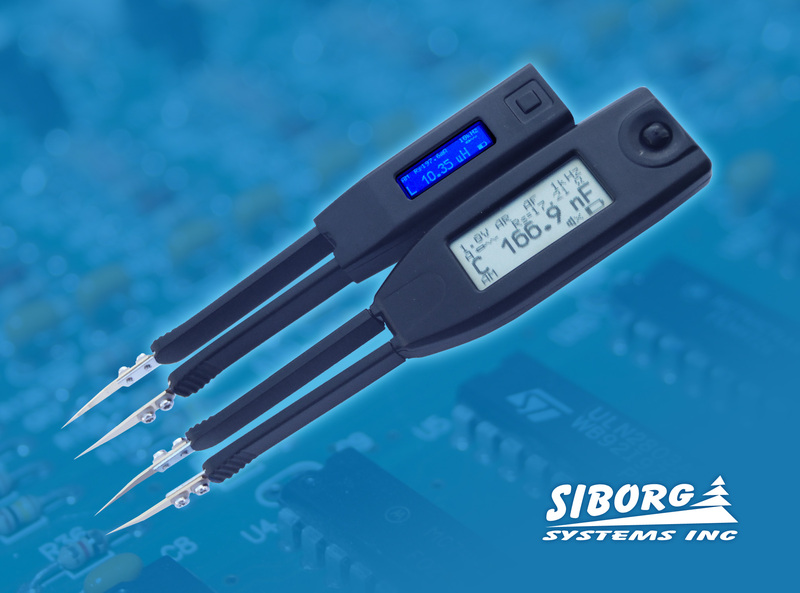 In 2014 Siborg released the Smart Tweezers ST-5S. This device was an updated take on the ST-5, with mostly the same features and functions but an updated look akin to the LCR-Reader. Here is the Manual and the Quick Reference for this model. 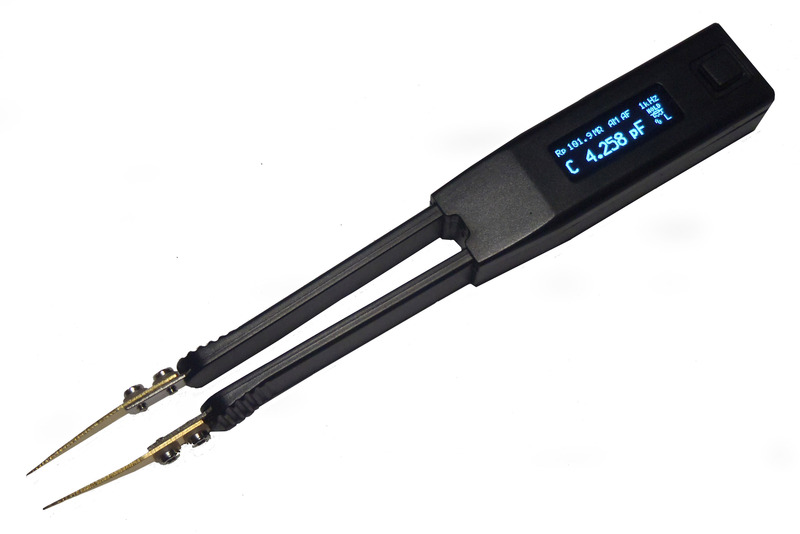 In 2016, Siborg announced the availability of Smart Tweezers ST5S-BT, a Smart Tweezers ST-5S device with the added ability to remotely record measurement values in real time. 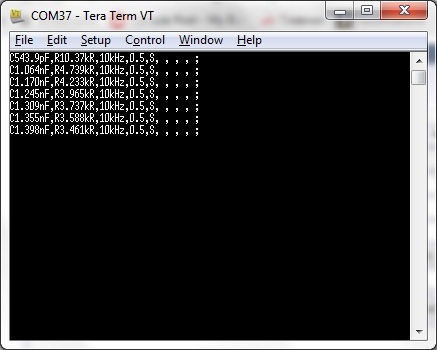 The device connects using a USB dongle (required to connect to computers) or using dedicated apps for iOS and Android. Depending on which communication software you use to receive the data can be saved into a file or database for processing later or used a quick reference. The ability to automatically record measurements is a time-saver for those who require their measurements to be recorded for quality control. 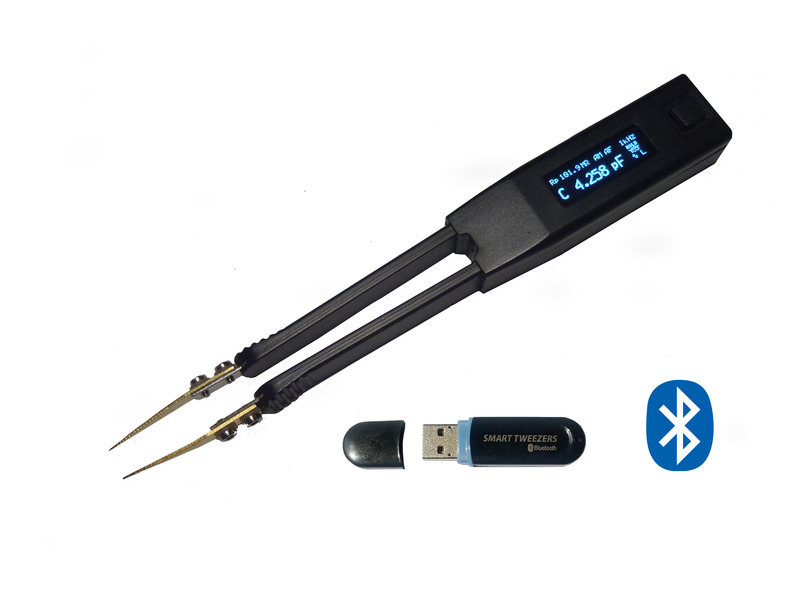 Smart Tweezers with Bluetooth, the ST5S-BT, allows users to record measurement results as they happen. 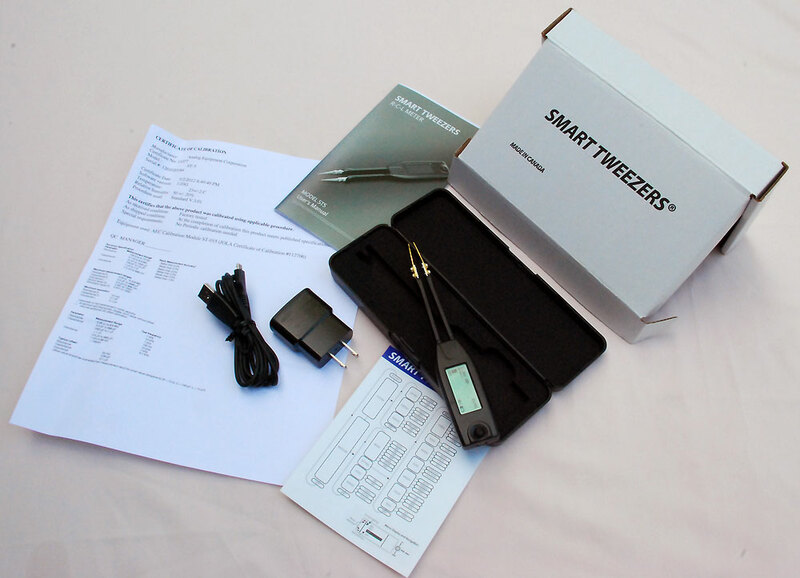 Smart Tweezers with Bluetooth Dongle; the dongle is required to connect to computer. 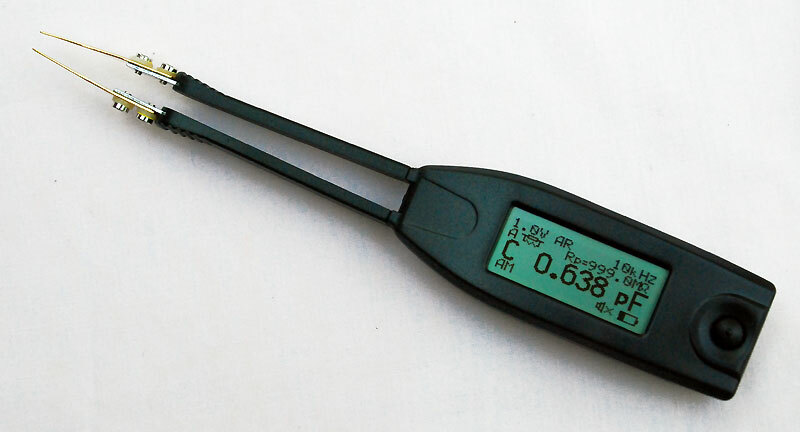 Siborg began offering the LED Test Tweezers in November 2015. This device uses tweezer-probes to measure LEDs and other components. 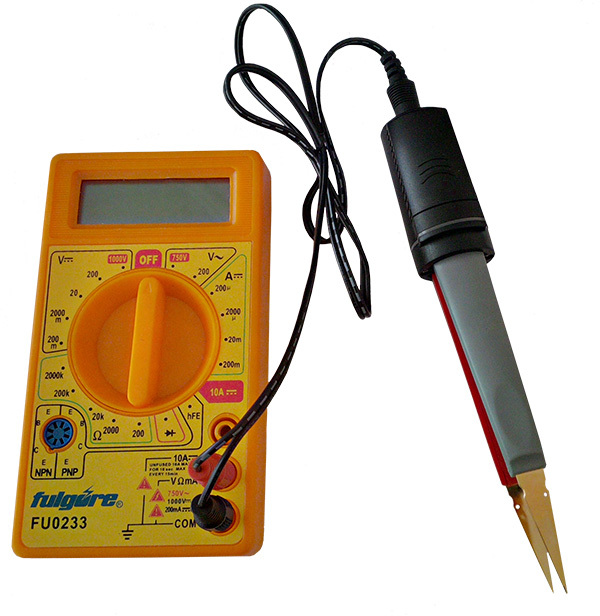 With the included cable, LED Test Tweezers can connect to most multimeters and be used as tweezer probes. 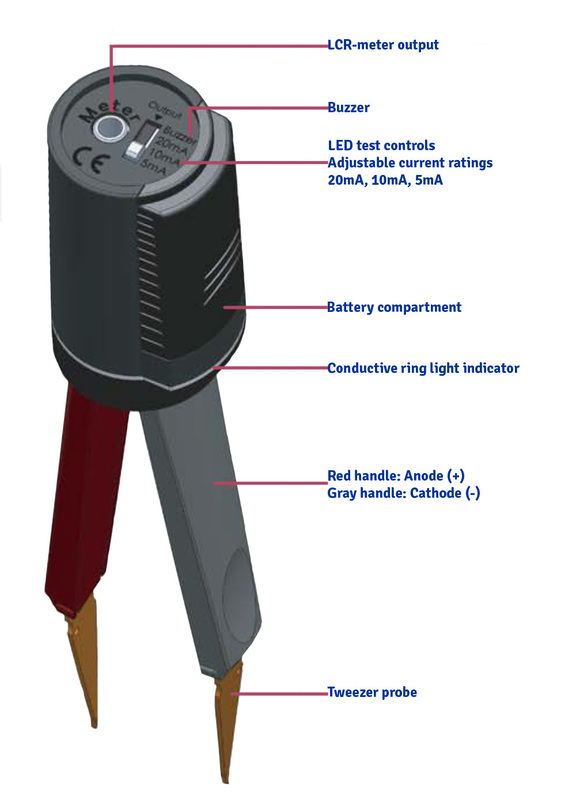 The phosphor-gold tips are able to grasp and hold small components, and a ring-light around the device confirms a connection. 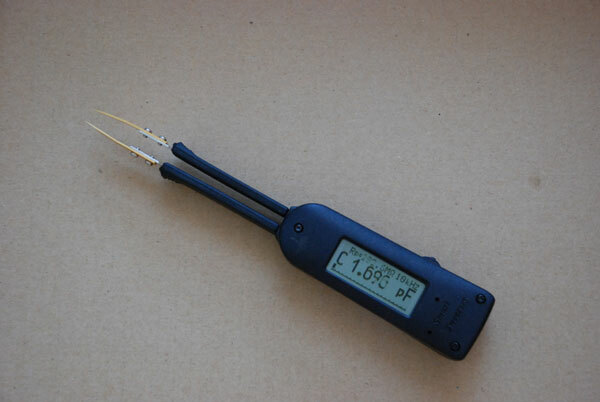 The Smart LED Test Tweezers measure LEDs with a current rating of 12VDC and variable current ratings of 20, 10 and 5 mA. Designed and Manufactured In Canada. Patented in Canada, USA, Europe, Japan, China, Taiwan, Hong Kong, and India. © Siborg Systems Inc. All rights reserved.